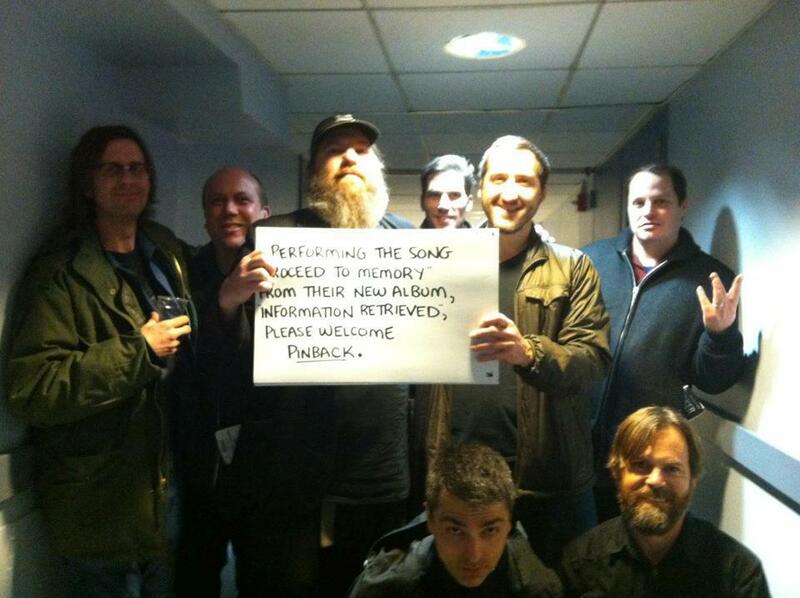 Last night Pinback performed on Jimmy Fallon! (In case you didn't already see dozens of messages on Facebook about it...) Bonus video, too! As Adam Gimbel posted: "Holy allstar Fallon taping! Pinback with JP Inc, Rick Froberg (Drive Like Jehu/Hot Snakes), Devon Goldberg (Creedle/Morricone Youth) & Gabe Voiles (Powerdresser)."